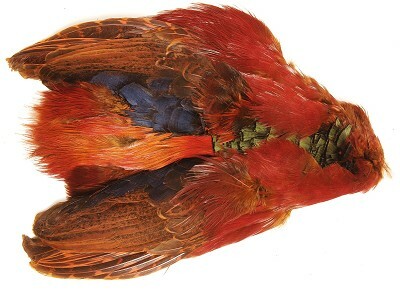 The feathers from a Golden Pheasant are used in a number of salmon patterns, especially Irish shrimps like the Bann Special. We also stock dyed skins that give a different slant to your flies. A whole Ringneck Pheasant skin including wings and tail. Complete Mallard skins including all the classic plumes associated with the Mallard.